The latest optical design technology ensures high resolution and superb reproduction of point images while minimizing chromatic aberration. 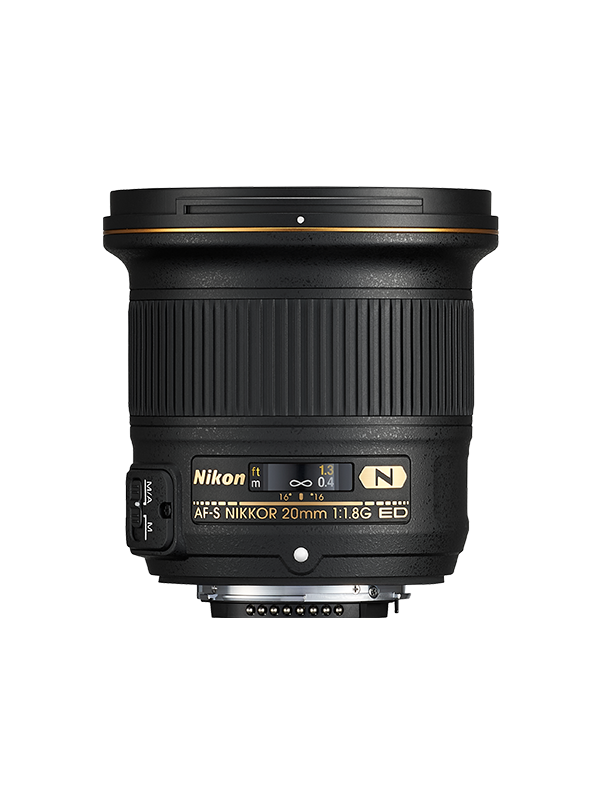 Realizes photographic expression utilizing the angle of view achieved with the ultra-wide-angle 20 mm focal length. Nikon’s original Nano Crystal Coat effectively reduces ghost and flare for clear, high-contrast images even in backlit situations. Compact and lightweight design despite a large aperture ensures stress-free portability. Shallow depth of field attained at the maximum aperture of f/1.8 enables the capture of beautifully blurred pictures. Excellent close-up shots utilizing the significantly short minimum focus distance of 0.2 m can be taken.